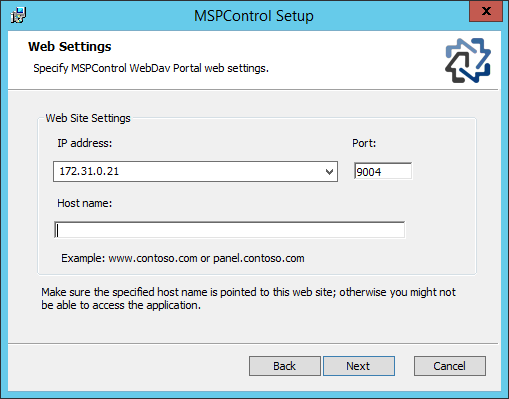 Installed and working MSPControl environment. 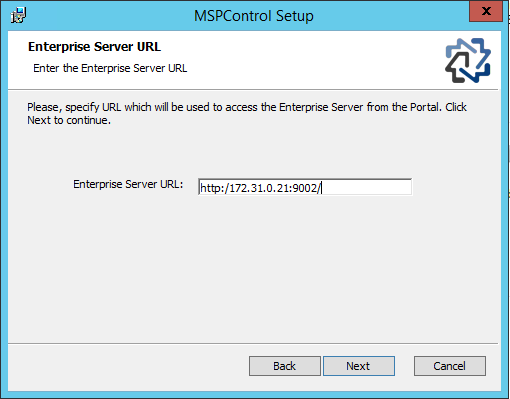 Provide Crypto key, serveradmin as user and ecrypted password.Crypto key could be found in Enteprise Server's web.config (C:\MSPControl\Enterprise Server\ by default). 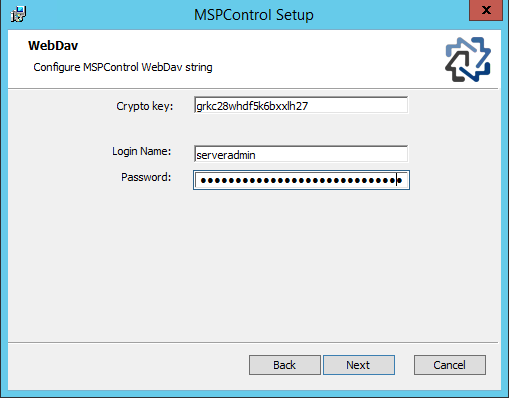 Ecrypted serveradmin password could be found in MSPControl database, table users (UserID = 1). 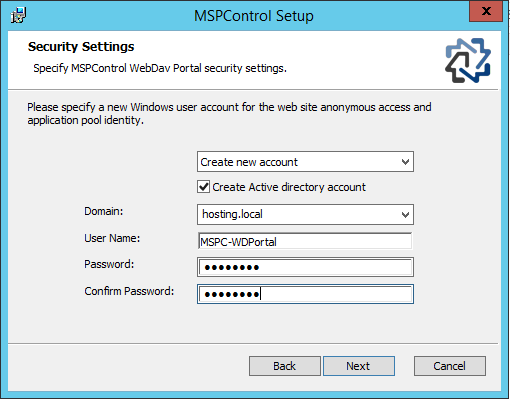 Optional, but recommended: go to IIS and assign SSL certificate to your newly created WebDAV Portal website. 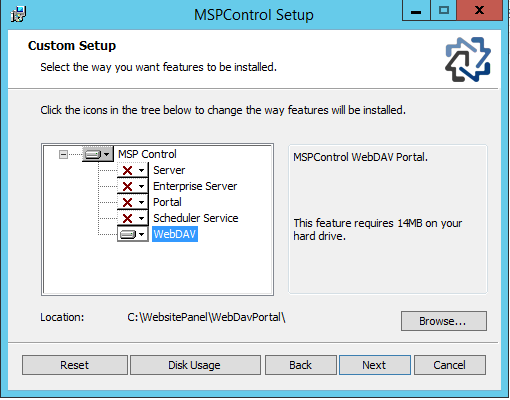 Allow end-users to access WebDAV Portal. They can change some basic information here (e.g. Name, Last name) and change their passwords.